The UK and India co-hosted technology festival at the Imperial Hotel, New Delhi. 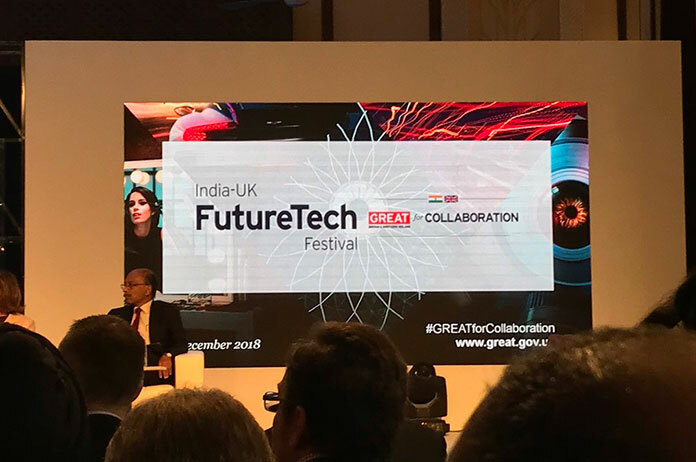 The India-UK FutureTech Fest (FTF) brought together more than 200 companies and 1000 delegates across two days, featuring world-leading Indian and UK Tech companies, along with scientists, policy-makers and entrepreneurs. The thought-leadership summit looked at the future of technology and the UK and India’s place as global leaders. Satellite events took place in Bengaluru, Hyderabad, Mumbai and Chandigarh. Leading speakers included the UK Information Commissioner Elizabeth Denham, Tech UK CEO Julian David, RELX CEO Ron Mobed, and Matthew Gould, Director General for Digital at the UK’s Department of Digital, Culture, Media and Sport, as well as Government of India Chief Technology Officer Arvind Gupta, Secretary of DIPP Ramesh Abhishek, and CEO of Niti Aayog Amitabh Kant. The announcement of the first two Tech Cluster Partnerships: the Midlands Engine-Maharashtra partnership will explore all areas of Future Mobility, whilst the Northern Powerhouse-Karnataka partnership will focus on Artificial Intelligence and Data. The launch of a £1m programme bringing some of the best UK AI health companies to deploy their solutions in Indian government hospitals and Primary Health Centres – focusing on diagnostic AI that can tackle some of the biggest diseases in India. Five companies have been short-listed for the first phase and were announced at the Festival (see Notes). The first meeting of the UK-India Future Manufacturing Steering Group, who are building a report on the design of a “Future Manufacturing” Centre in India, based on the world-leading Advanced Manufacturing Catapults in the UK. The CEO Tech Alliance also held their third meeting at the Festival. 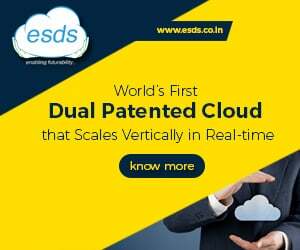 An expanded FinTech Rocketship Award scheme, designed to boost entrepreneurship and access to UK and Indian markets was launched. And the UK-India Tech Hub – which will bring together hi-tech companies from the UK and India through commercial partnership, mentoring, joint venture and R&D collaboration – will be recruited in early 2019. Smart metering technology firm CyanConnode’s Omnimish product has generated contracts worth $18.9 million in the last 18 months in India, and was acknowledged at the Independent Power Producers Association of India Awards. The company is working on a further contracts potentially worth $100m. Tech solutions firm Equiniti Group will open a new Bangalore office in Jan 2019, creating up to another 350 jobs – in addition to the existing 1000-strong Chennai office. Newsfeed start-up Logically tackles disinformation online: they are launching their new consumer website at FTF. They are expanding their India platform – with plans to create 20 plus jobs and with projected revenues of over £21.7m next year. Venture Capital Firm Pontaq has launched a £50m fund designed to create 2500 plus jobs in Fintech, Smart Cities Tech and Emerging Tech across the UK and India. Life sciences firm QuantuMDx announced a new MoU with Goa-based Molbio to collaborate on infectious disease diagnostics e.g. tuberculosis – of which there were 2.74 million cases in India this year. “When Prime Minister Narendra Modi and Prime Minister Theresa May announced the India-UK Tech Partnership back in April, they put the enabling power of tech at the heart of our bilateral relationship. We’ve seen fantastic progress since then, demonstrating the breadth and depth of our collaboration. The UK-India partnership has embraced whole-heartedly the challenges and opportunities tech brings, with an exciting agenda promising to maintain both countries’ position at the forefront of the tech revolution,” said Sir Dominic Asquith, High Commissioner to India. “The UK is a natural partner to India in our mutual interests and ambitions in technology, and our collaboration is overseen by the highest offices in both countries. India could potentially be the Tech Garage for the rest of the world, and we are keen to invite the best technology companies and solutions to India – in areas like Healthcare, Manufacturing, Mobility, FinTech etc. The FutureTechFest showcased several disruptive companies, and multiple areas of mutual interest were discussed. I am keen to see continued, strong momentum in the India-UK technology partnership,” said Amitabh Kant, CEO NITI Aayog. The UK-India Tech Partnership was launched by PM Modi and PM May in April 2018. The Partnership builds on existing bilateral scientific, commercial and personal links, and creates a framework for deepening India-UK collaboration across all aspects of Tech – helping to create jobs, enhance productivity, promote trade and investment and tackle shared challenges. The UK has always been at the cutting-edge of technology: from the birth of the Industrial Revolution in 1760 to this week’s launch of the Graphene Engineering and Innovation Centre. The UK is home to more Nobel Prize winners than any country outside the United States. This Partnership builds on an already strong trade and investment relationship. In 2017 India’s stock of FDI in the UK was £8bn – a huge 321% increase from 2016, exhibiting the greatest growth from any country and the largest stock of Indian investment in the UK over the last ten years. In turn, the UK is dthe largest G20 investor in India. There is strong existing cooperation between the UK and India: 31% of Indian investments in the UK are in tech; creating 33,000 out of 110,000 jobs. The UK exported £344m of digital services to India in 2016. The UK is India’s second largest bilateral science partner and under the Newton-Bhabha partnership, India-UK collaborations will have risen from £1million in 2008 to over £400 million by 2021.